Lovely condo located in highly desirable Bear Creek Village~Enjoy the peace & serenity as you walk the rolling hills that run along the river. 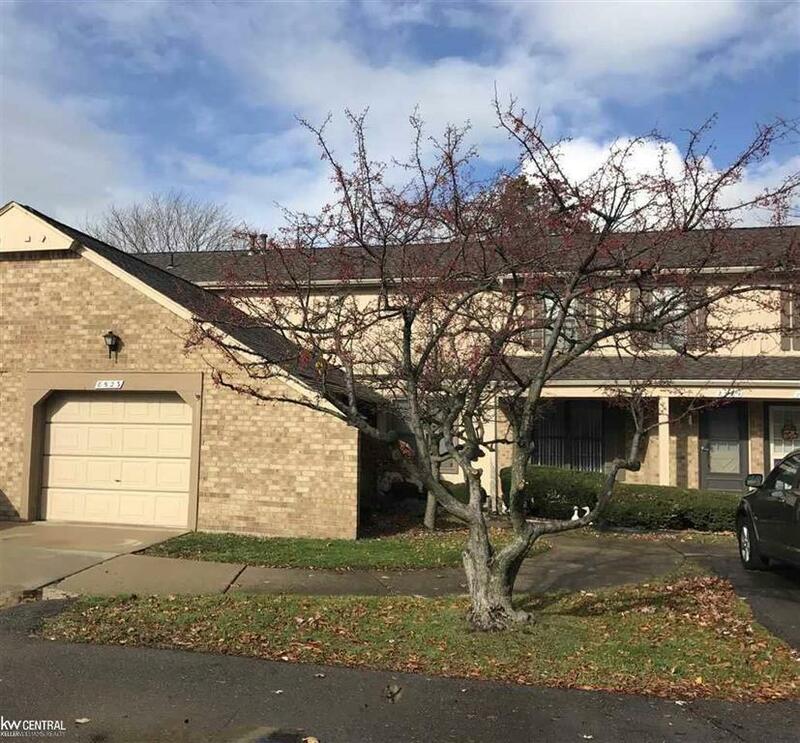 Freshly painted w/ neutral colors, & new plush carpeting from the basement stairs all the way to the upper floor, where you will find 2 amazing sized bedrooms with spacious walk-in closets. Along with a huge linen closet in the hallway, it will be easy to stay organized~a place for everything, and everything in its place! Large full bathroom has double sink vanity. Living room features cellular window treatments, cozy fireplace, and new flooring. Dining room leads to private deck w/gas BBQ for outdoor cookouts. Spacious eat-in kitchen features SS appliances, Granite counters, Oak cabinets and beautiful wood flooring. No more walking thru snow to bring in groceries~how nice it will be to pull into your garage and walk right into your home ~1st floor laundry w/washer&dryer. Spring will be here, so move right in and then enjoy the pool this summer!